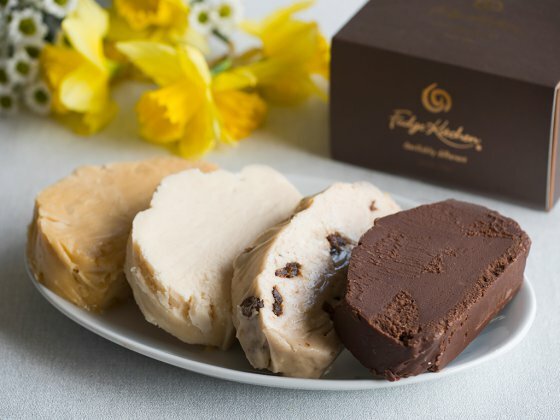 Break the Easter Egg mould! Delicious dairy free, vegan friendly, freshly made fudge straight to your door. 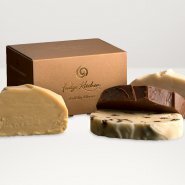 Easter selection of delicious hand made fudge created to satisfy everyone's Easter Chocolate needs! 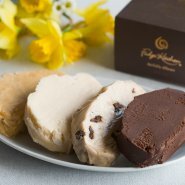 Add your own message to this special Easter box and the fudge bunnies will do the rest. 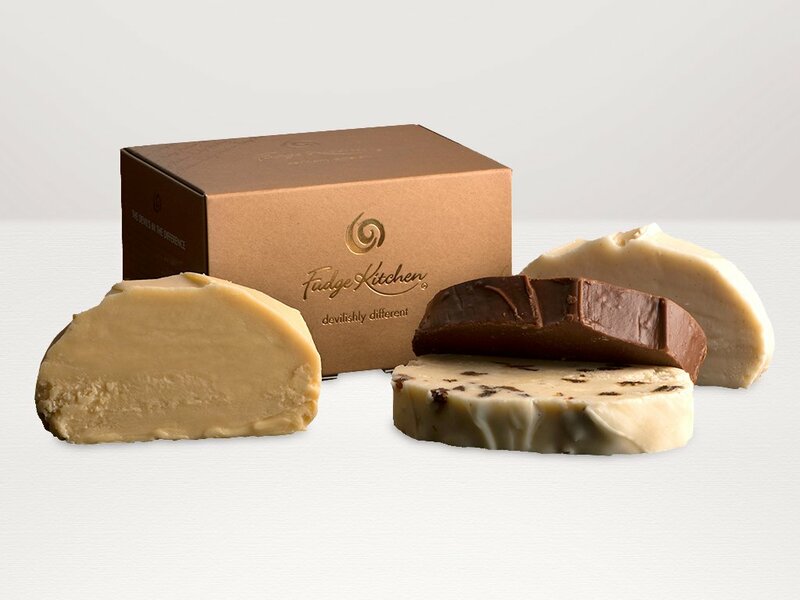 Our fudge is handmade using only natural, gluten free ingredients to an authentic fudge recipe dating back to 1830. Dairy Free Chocolate Classic: Sugar, Water, SOYA Milk, Glucose Syrup, Inverted Sugar, Cocoa Powder (4%), Dextrose, Salt. Dairy Free Toffee: Sugar, Water, SOYA Milk, Glucose Syrup, Inverted Sugar, Handmade Caramel (2%), Dextrose, Salt. Dairy Free Hot Cross Bun: Sugar, Water, SOYA Milk, Turkish Raisins, Glucose Syrup, Inverted Sugar, Fresh Oranges, Dextrose, Mixed Spice [(Cinnamon, Coriander, Caraway, Nutmeg, Ginger, Cloves)], Cinnamon, Salt. Decorated with Dextrose.